Eight Dangers - a dreamcatcher, wovens my nightmares into its web and protects my subconscious from bad eyes-wide-open dreams. Hanged over my skin, its scent offers hope and shelter to memories that crave the reality of their emotions. I'm a believer of my inner spirituality, not a devotee of any God although I respect all of them. My grandmother was a worshipper of God, of Jesus, Virgin Mary and of all the Saints, known or unknown. The church was a sacred place to her, although home she may have used some blasphemous expressions to torn us down. We deserved it well. She used to drag me to church every Sunday, despite my childish protests. I didn't liked our church. It was a reminder of all the names marked on the cold crosses in the cemetery next to it. Our priest didn't had a place in my heart either, he was one os those who's words one should follow and not his facts. Words that, oftentimes, lost their meaning in vapors of ethanol that cut my breath off during the confession time. I decided to give up on church when i was 16 and my grandmother accepted it open-mindedness. She knew i needed to find my own path in life instead of following the one that others marked for me. My choice never changed her love for me, instead her understanding, despite her beliefs, made my admiration towards her blossom. Although the church was not an option to me, something magical happened every time we visited the Monastery close to our house. I was the first at the door the second the word monastery was mentioned in a conversation. At least we shared that together, although it wasn't recurrently. The solemnity of the monastery, the dust of its history, the nuns' crystalline laughter, the green on ground, the blue above, the air in between, the stone Angels or the icons covering the nakedness of the cold walls, all of that provided my inner peace. My Inner Island of serenity. The stone Angels played with my imagination since i was only a child, creating the illusion of a renascentist canvas utterly untouched by time. I was fascinated by their their form, eternal faces and expressions, by their lack of life and inert wings completely opposite of their vivid eyes. The scent they emanated through their cemented bodies was the smell of years of stagnant dust and piercing incense soaked into their cheeks, of old Bibles readings, warm candle light, wooden benches and silent prays. Eight Dangers is the closest fragrance I've ever come across to resemble the stone Angels' smell. A dense and calid scent that spiritually tries to fulfill one's need when desperately hungers for the love of those that no longer are. 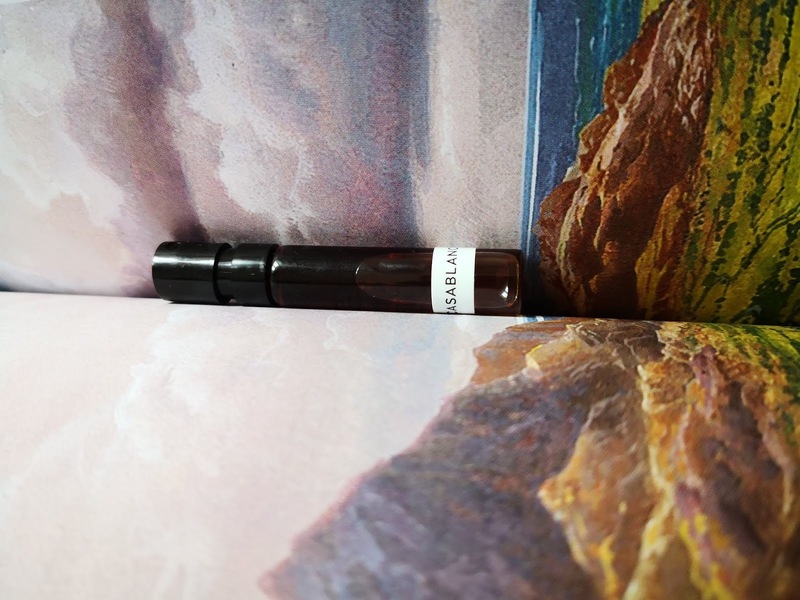 As a cloak of darkness colored in a burst of hot black pepper that invades the nostrils in the most warm, invigorating and cheerful manner, as an introduction to cold, aromatic and resinous olibanum immerse in the sweet earthiness of a slightly pungent patchouli that cures its strengths with soft woods and warm resins. A never-ending metamorphosis that caches you in its wings and doesn't let go. An Angel shielding. My stone Angel. Complete and complex, Eight Dangers by My Inner Island, offers shelter for restless souls, like mine. 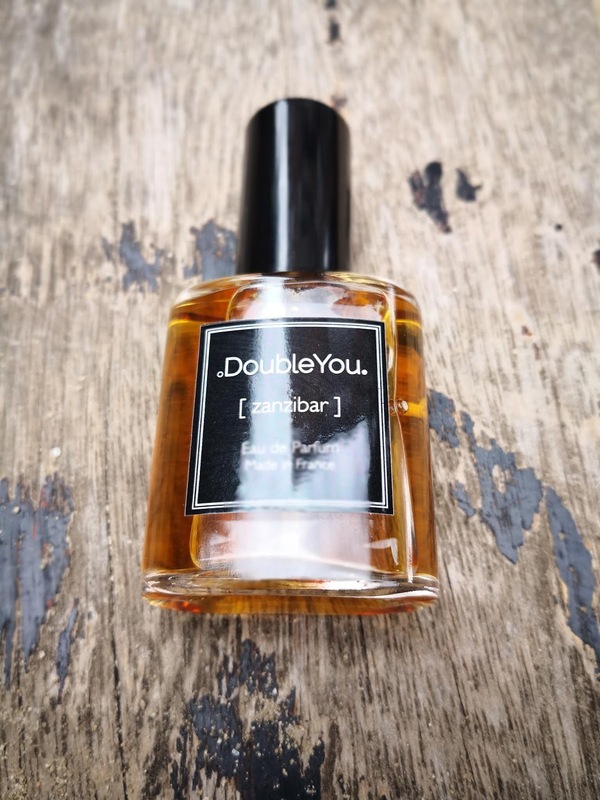 Founded in 2010 by Norwegian born Cathrine Røsseland, Double You's purpose is to provide exclusive artisanal products. Grown in the Norway's Western mountains with her mother, Cathrine always considered her half-Norwegian and half-African, due to her father's Tanzanian roots, but it wasn't until 2009, after a trip to Tanzania and Zanzibar, when she felt the strong connection with her African side. Half and half, double. This is how Double You was born, as an expression of Cathrine's duality. First out were the Double You fragrances, created by Barnabe Fillion, Norvége and Zanzibar, "To truly celebrate the senses one needs to understand their roots, their origins, and treat them with the same humility and respect, as we need to apply to our relationship with other people and nature itself. –Only by applying the methods of a true artisan, we can fully enjoy nature’s resources". Norvége is an aromatic green fragrance, inspired by the Norwegian mountains, and the second Zanzibar, an oriental spicy. Since I've been in the Norwegian mountains i can't say i get the same feeling from Noervége, and although it has a natural aroma, it tends to be more like an aromatherapy mix of oils than a fragrance per se. Zanzibar, in charge, is inspired by the warm ambience of the African landscapes. 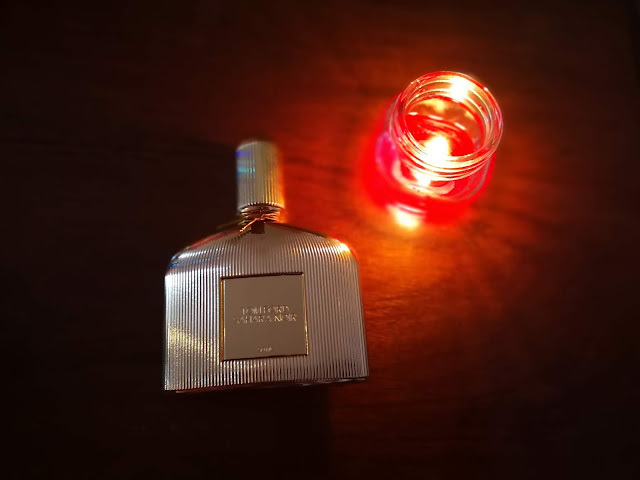 With a sparkly and fizzy opening (although it are no citruses listed), the fragrance reveals itself like a slow dance with moves that create a dynamic, yet light, connection in between its fresh and warm elements. Woods and spices whirl around each other with effervescent moves creating their own vivid choreography with the ginger, cinnamon barks, the coffee and the sandalwood as the main dancers with a waxy touch from far behind. Spicy, yet not foody, Zanzibar gives the feeling of being in an open kitchen in the middle of the nature, recreating its vivid atmosphere in the most realistic and natural way. Recommend only for the ones that love natural/aromatic fragrances. *Never blind buy, always test before buying. Casablaca by StClair Scents was depicted by my favorites reviewers in two exact opposite ways. On one hand it was mentioned as being a dark, sultry, prismatic fragrance with certain reminiscences of the famed Bal à Versailles, and on the other hand as a bright and clean floral fragrance with fruity facets and specks of indole in the background. Two completely different views of the same fragrance that stirred my curiosity to a maximum extent. Top notes: Pink Grapefruit, Red mandarin, Black currant bud. Heart Notes: Orange Blossom, Tuberose, Jasmine Organic Extract, Ylang Ylang. Now, that I've worn it during several days, i can affirm that Casablanca is a combination of both - sultry/dark and clean/bright. It's like a parallel of opposite elements that seem to never encounter a point of union until the very dry down, when they finally come together as unified. Even though Casablaca is dedicated to Diane's farm but not intended to smell like one, I'm not sure if she succeeded to separate that specific image she was inspired by from the fragrance she composed, as my imagination opened a door to the past while wearing this fragrance, and transported me back in the mid 20s into a wealthy young woman's body, whom, protected by a well mannered cloud of Chanel N5, accepts her fiancé's invitation to visit the family farm on the countryside, and although she never thought this could be a lifestyle suitable for her, soon discovers that she enjoys the liberty that the farm provides more than she could have ever imagined. The effects of the tantalizing aroma of countryside enveloping the flesh in the most mysterious way. Read my review of StClair Scents here. Unlike (and completely different from) the other compositions of Diane, Casablanca gives, like i mentioned before, the feeling of a parallel between a clean and airy combination of sparkly, powdery and aldehydic-like citruses with sweet fruity-florals and a dark/resinous indolic base with balsamic aspects, like a parallel between the shiness of a blue sky and the roughness of a farm ground that meet at the horizon. The floral gathering is bright and colorfully animated with juicy fruits and fleshy tuberose, while a certain amount of sweet darkness arises from the dirty soil like a shadow that slowly swallows the brightness into it. Despite their oscure character, the indoles provided by a slight combination of civet and Musk Ketone are well behaved and create a warm animalic bed for the rest of the ingredients. Casablanca is warm, seductive, enveloping and vibrant. I guess it could be described as a lighter and dazzling younger version of Bal à Versailles, but i think that Casablanca is a whole new story... And Diane wrote it in modern characters. 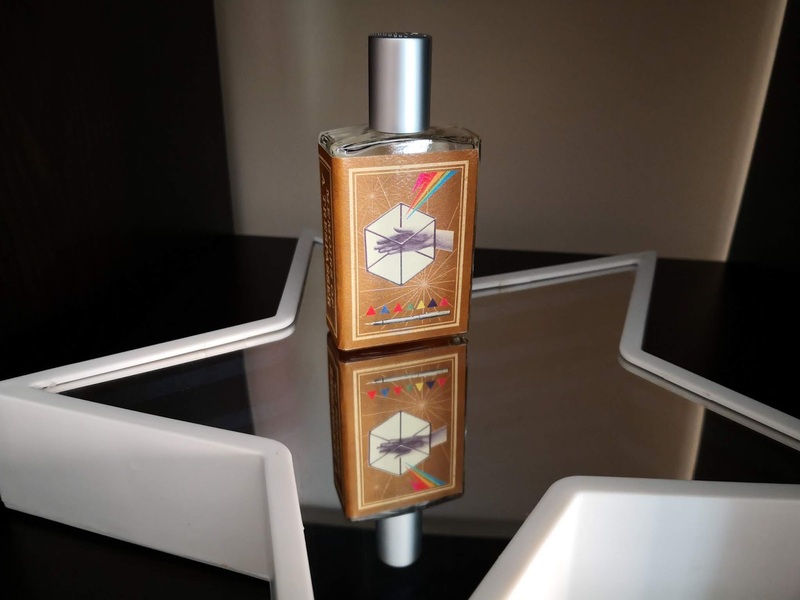 Casablanca is a 50% perfume concentration that comes in 30ml bottle and retails for 190$. Sample provided by Diane, StClair Scents, opinions are my own. Last week was a bit more sweet than i usually like or wear, but i did enjoyed it to the fullest. From Vanille Insensée' dryness to the fiercest Dior Addict, passing along the calmed Eau de Missions and Memoirs of a Trespasser' dustiness, I had a display vanilla cupcake with Vanille that i treated the next day with the flowers and tonka bean from Hypnotic Poison Eau Sensuelle and the week ended with one of the best flankers (in my opinion) of the historical Shalimar, Ode à la Vanille Sur la Route du Mexique. Native to Central America, vanilla is nowadays grown mainly in Indonesia, Madagascar, China, and on the Reunion Island. Vanilla pods are harvested still fresh, then dried for several months during which they develop their warm, soft, sweet, smoked scent, with woody, spicy and tobacco facets. Solvent extraction is then used to obtain vanilla absolute. One of its main components is the vanilin, which It is synthesized in the laboratory. 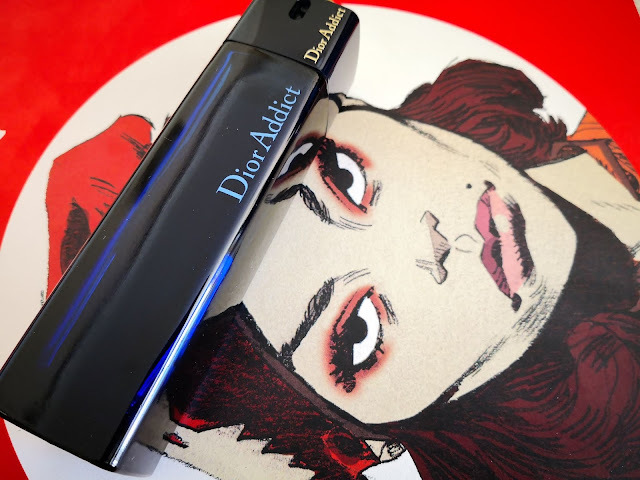 While Monday started on quiet rhythms with Vanille Insensée dryness, Tuesday was screaming with Dior Addict (a 2005 bottle). Despite the fact that it contains ingredients that usually add a certain amount of warmth to a fragrance, Dior Addict is pretty cold. Cold and powdery. 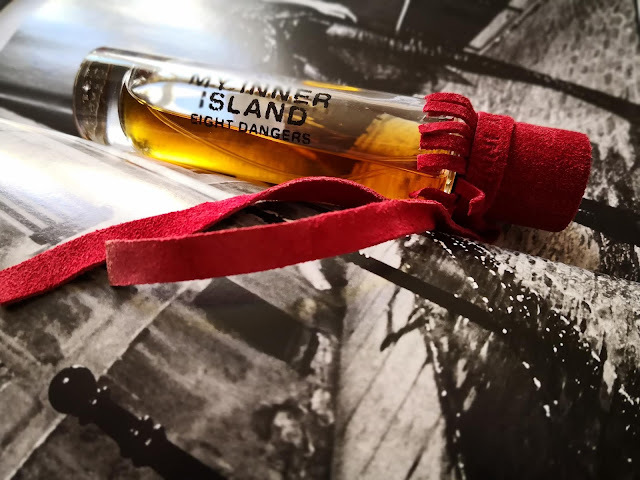 Nothing discreet and with a dark, strong and powerful vanilla spreaded over sultry flowers and tonka bean with sandalwood' woody undertones, creating an intoxicating spicy melange with a touch of smoke, Dior Addict stands out for heady, seductive and pretentious. Day 3 - Eau des Missions. Le Couvent des Minimes was founded in 1613, in the current province of Alpes-de-Haute Provence (formerly Mane), by the Marquis Melchior of Forbin Janson for the order of monks of Minimes. The monks were mostly devoted to the study of plants in general, of medicinal plants in particular. The Monastery closes after the French Revolution and remains unavailable until 1862, when the Archpriest of Forcalquier, Canon Terrasson, transforms it into a hospice. Years later a community of Franciscan Missionaries of the Virgin Mary came came to offer their help to the hospice's inhabitants. Until 1999, when the missionaries left Le Couvent, the monks continued with the study of plants and the production of natural medicines, creams and fragrances. In 2008, Le Couvent was transformed into a Hotel and Spa and changed its name to The Relais & Châteaux Le Couvent des Minimes Hotel & L'Occitane Spa. Thanks to its original recipe that combines the comforting vanilla with 5 plants selected for their beneficial properties, this rich and sensual water perfumes the skin with notes of vanilla. • Benjoin: source of well-being. 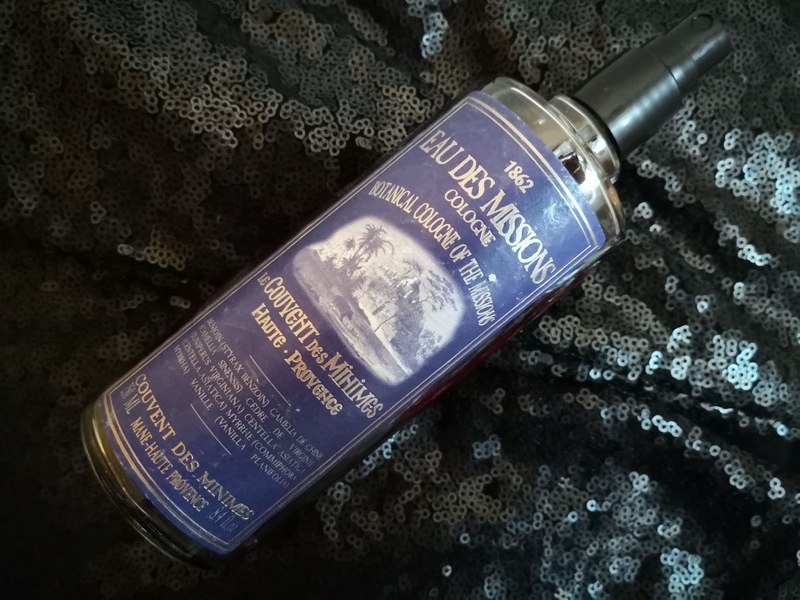 Often compared with Spiritueuse Double Vanille by Guerlain, Eau des Missions is a dark, dense "cologne" offering a calming experience, although it has been created as "perfumed water". Eau des Missions is mainly vanilla. A dark vanilla with citrusy tones, woody, covered in rum and resins, and slightly smoky . Thursday - Memoirs of a Trespasser. Inspired by imaginary authors and books "Imaginary Authors is born from the concept of scent as art and art as provocation. Like a good book, these scents are meant to inspire you. 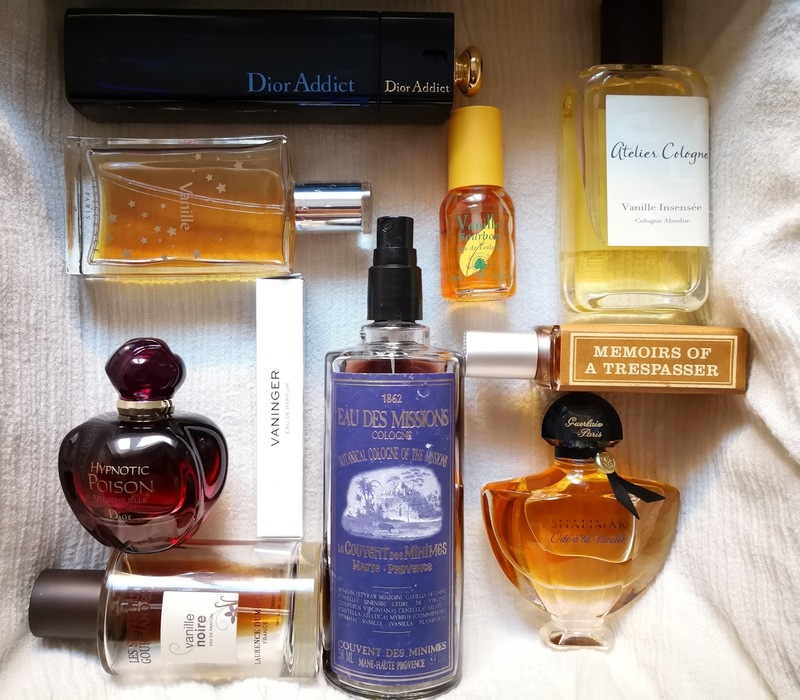 In these bottles are layered narratives that are sure to generate stirring conversation, fragrances that might be capable of changing the course of your own personal story. The hope is that they not only invigorate and intoxicate, but also take you to new places." Memoirs of a Trespasser is the imaginary centerpiece of Philip Sava, fictive writer and solitary owner of a southern ranch in Madagascar. The real author of Memoirs is no other than Josh Mayer, an indie perfumer from New York. The fragrance itself transports me to a time of combined innocence and rudeness. My childish boofooneries were followed by well deserved punishments, like not being allowed to get out of the yard and play with the other kinds, so i often seek out refuge in our old house' attic. I was feeling at peace among the dusty, moldy smell of old books, oak barrels and dry tobacco leaves. The smell was my oasis of calm and tranquility and it could kept me locked there for hours breathing it deep inside while reading a 20 years old historical magazine. Memories of a Trespasser encapsulates that exact smell and helps me to hold down on that precious memories. Vainille by Reminiscence, day 5. I've read somewhere that Vanille by Reminiscence was the poor man's Cuir Beluga, and, although i can relate to a certain extent, i think that Vanille has enough character to stand on its own. 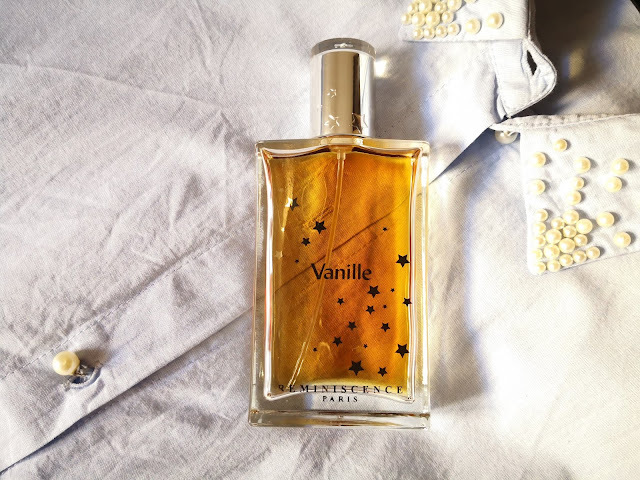 Vanille is what i like to call a display cakey vanilla, a gourmand without necessarily being an edibile-like type of fragrance that makes your mouth watery. Characterized by a soft booziness combined with sugary pralines and almondy heliotropin, Vanille surrounded itself with bright walls of bergamot, osmanthus and musk that protect the fragrance from falling into the overwhelming sweetness of nowadays and makes even me, the gourmands non-admirer, to appreciate its resinous warmth. 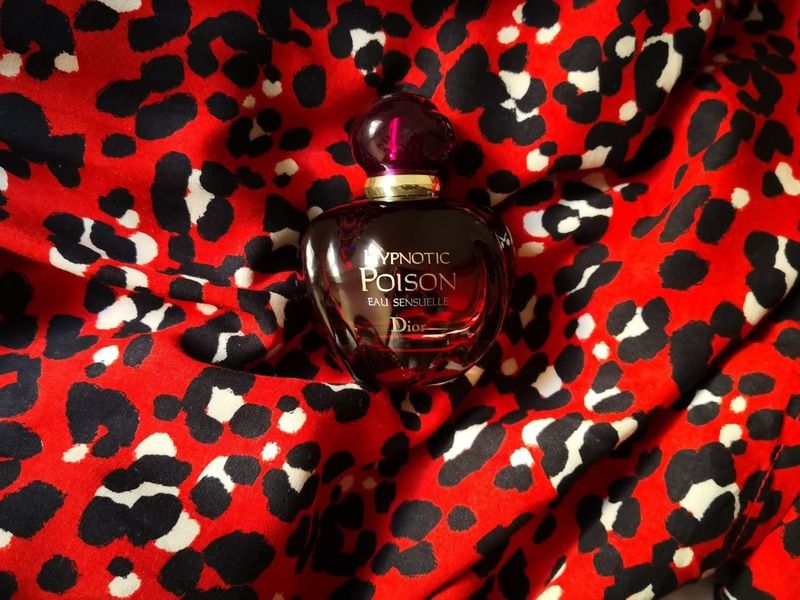 Saturday - Hypnotic Poison Eau Sensuelle. Hypnotic Poison Eau Sensuelle is the original Hypnotic Poison without its clothes. Naked, less sweet, less powdery, less powerful, with no licorice and more floral, and it's one of the few cases where i prefer the flanker to the original. It gives me the same feeling as when the opera singer steps out of the scene and allows the orchestra to shine. Hypnotic Poison Eau Sensuelle is less in your face and toned down. 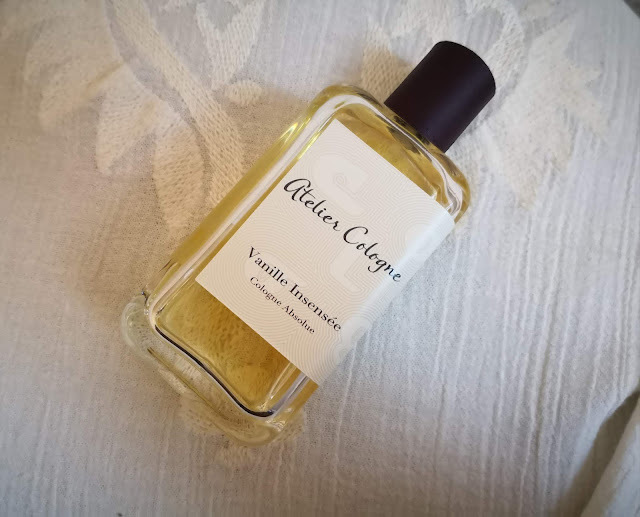 The vanilla plays a mayor role, but it's beautifully sustained by orchids, ylang-ylang, orange blossom and roses that cover its nakedness in the most candied way. Last day - Shalimar Ode à la Vanille Sur la Route du Mexique. To create the iconic Shalimar, Jacques Guerlain was inspired by the exuberant gardens of Shalimar in Lahore - Pakistan, built especially for the Empress Mumtaz Mahal. The fragrance is a tribute to one of the most beautiful love stories ever have existed throughout history: the one of Empress Mumtaz Mahal and Emperor Shah Jahan. Their love broke when Mumtaz Mahal died during the birth of his 14th child. Shaken by pain, Shah Jahan built in her memory an historical temple, known throughout the world as Taj Mahal. It is said that on the site of the Shalimar Gardens was once a country house built in the second century by the emperor Praversena II, that after its construction was over it was named Shalimar. In Sanskrit, the word shalimar means place of love. After the disappearance of King Praversena II, the construction deteriorated with the passage of time and in place of the ruins, King Shah Jahan decided to build the Shalimar Gardens for his wife Mumtaz Mahal, as a symbol of his eternal love. Shalimar is one of the most famous oriental fragrances and was the first olfactory creation that incorporated a considerable amount of vanilla extract in its composition. Its smell is dense and exuberant, and is marked by penetrating citrus fruits intensified by jasmine and rose flowers, enriched with patchuli, iris, sandalwood, incense, ambergris, tonka bean and vanilla, which together create the magic of Shalimar. Shalimar Ode à la Vanille Sur la Route du Mexique smells like the old smoky Shalimar overslept in a Mexican vanilla bed. 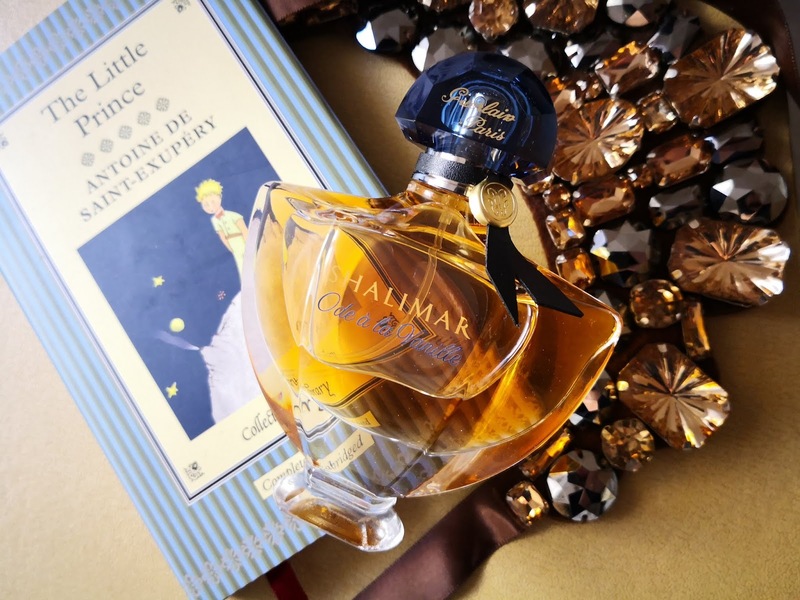 Raymond Guerlain designed the bottle for Shalimar, inspired by the fountains of the gardens. As for the blue cap in the form of a fan, this is inspired by a precious silver item that was owned by the Guerlain family. It was a nice exercise to wear fragrances that i often forget about and i hope to repeat it soon. Sahara Noir by Tom Ford is one of those fragrances that share a strange (hi)story with me. At the time i acquired it, it wasn't yet discontinued from the line and it was still widely available. Its pretty attractive price tag gave me the option to buy it without having tried it before hand. I wasn't sure if it was a successful buy when i receive it, mostly because i was expecting a warm and cozy incense scent that spiritually uplifts one's mood, and instead i received a the dry, dusty and smoky incense that made me feel like trapped in an ancient Catholic church wondering if i should pray or should I run away. I didn't understand its meaning. But, patiently and day after day, i tried to deconstruct Sahara Noir into small puzzle pieces to put them back together... until finally one day i saw it raising beautifully before my eyes like a temple that was visible only to myself. We bonded in such a special way that it created an invisible connection between us and made me feel like I found my nirvana. My sister came to stay with us for a while. She was lost and in a personal and spiritual need for guidance. Her inner void was screaming for love, caring and understanding. We gave her all of us, and, after the bad dream was over, she slowly opened the eyes and started to see through the blurred lines directly into the light. Soon her eyes were bright and alive again. Love made us stronger. I thought fragrance would also help, as it helped me at so many hard times, so i offered her scents of comfort. Sahara Noir was among them. After a short sniff her conclusion was final: 'It smells like a waxing salon'. It didn't even gave me the time to reply or make her reconsider it, because her words, like a wrecking ball effect, destroyed my temple leaving behind only the bricks and mortar of a waxing salon. It took less than a second to destroy my vivid image of peace and serenity and replace it with the smell of walls that entrap nosy people, smoke and plugged hairs. My silence was suddenly hold hostage by scary screams. After the terrible happening, every wear of Sahara Noir was like a screech of pain. I couldn't deal with it anymore. She felt quilty, but it wasn't her fault, in the end it was my mind the one that pulled the trigger. After my sister left, full of hope and desire to start a new life, i decided that is time to let Sahara go. And so i did, as cheaply as i bought and without considering its discontinued nor sentimental value. I sold, swapped and gifted many treasures over the time and i never had any regrets. Except for Sahara Noir and Ode à la Vanille Sur la Route du Mexique. Luckily i recovered the latter. But i was desperately looking for my spiritual oasis back. My cry for help reached my sister, my vintage and discontinued treasures dealer. No luck whatsoever. 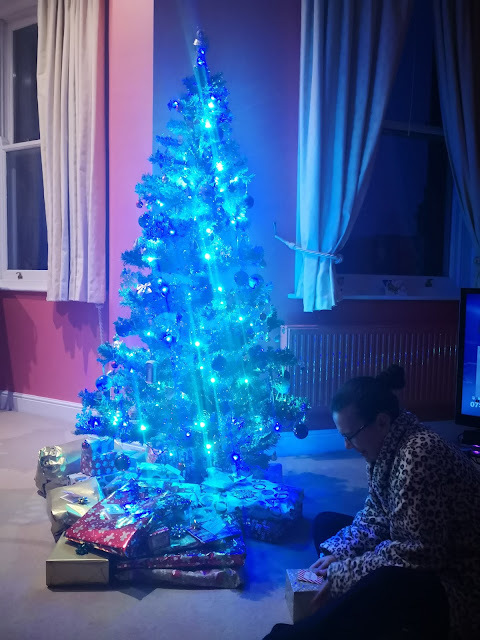 After years of missed Christmases as a family, we decided that it's time to turn back to traditions and spend the Christmas holidays together, as a whole. It felt so real and blissful that it hurt of joy to the deepest of my soul. We exchanged gifts and while i was recharging my heart with their laughter, happiness and excitement, i almost forgot to open mines. 'Hey, open yours!' i heard my sister's voice like in a dream. And so i did. First it was a book i wanted - the famous and controversial The Perfume Guide 2018, a reading i was impatiently looking for. The second gift was the lost Sahara Noir. The very next second after unwrapping it the thought of waxing salon that took over my mind years ago shakedown and disappeared like dust in the wind. My sister didn't see the tears of gratitude in my eyes, but maybe without even realizing it she replanted the seeds for a new sanctuary to grow. I don't remember the other gifts. Actually i do, and i appreciate every single one that i opened after it, but let's say that unintentionally Sahara Noir created a special bond between my sister and me, and even though she doesn't like it, it will always remember me of her. The rest is history. Not sure if my story has a moral lesson. If it does, could it be to never allow anyone to interfere with what you really feel, like or love? Or maybe that things have their own language and when the right time they'll get back into your life a way or an other? Karma? Destiny? Call it whatever you want to call it, but I'm sure that everything happens for a reason and it happens when it should happen and without kindly asking us first.